Another one for the trophy case! 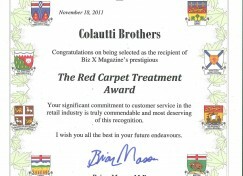 We are proud to announce that we have been awarded the ‘Red Carpet Treatment’ award from this years BizX Awards! Don’t let the ‘Red Carpet’ portion fool you, as this award was for businesses across the board in every category for’Best Customer Service’. As a company which has stool the test of time, we are very proud to have this honour, and we want to thank each and every one of our past, present and future clients! You make this possible for us, and we appreciate it more than you can imagine. Special thanks to BizX Magazine for everything they have done for Windsor and Essex County business both large and small, and all the best to everyone in the new year! 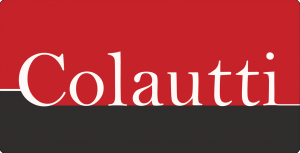 On behalf of all the staff at Colautti, thank you for your support for the last 90 years! We look forward to hearing from you and if you would like to post some testimonials underneath we would be more than happy.